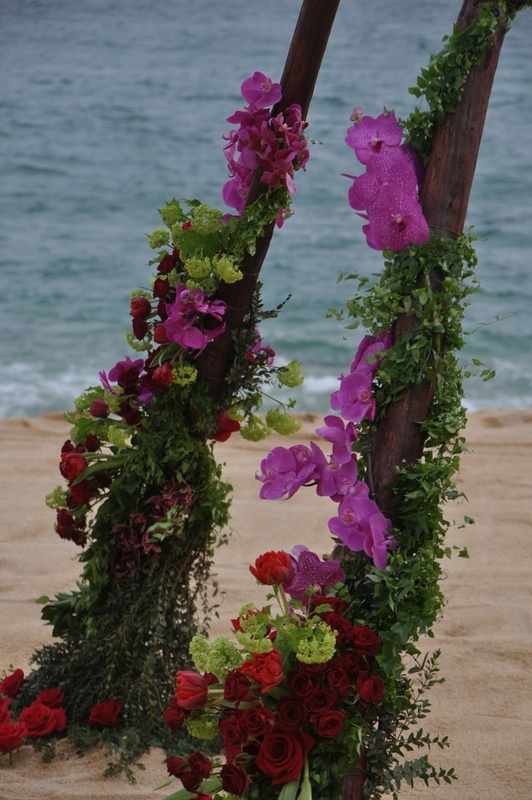 WE DESIGN DESTINATION WEDDINGS day in and day out, and have assisted grooms in their surprise wedding proposals before. Of course! 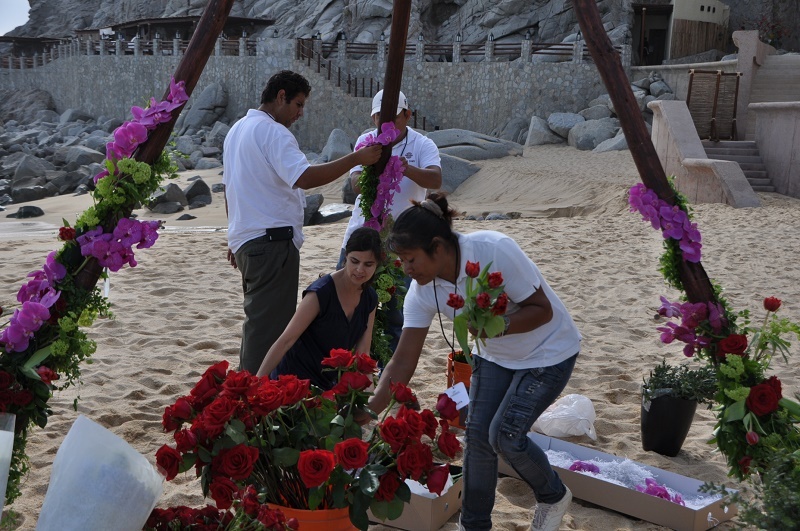 What could be more romantic than a wedding proposal on the beach in Mexico? 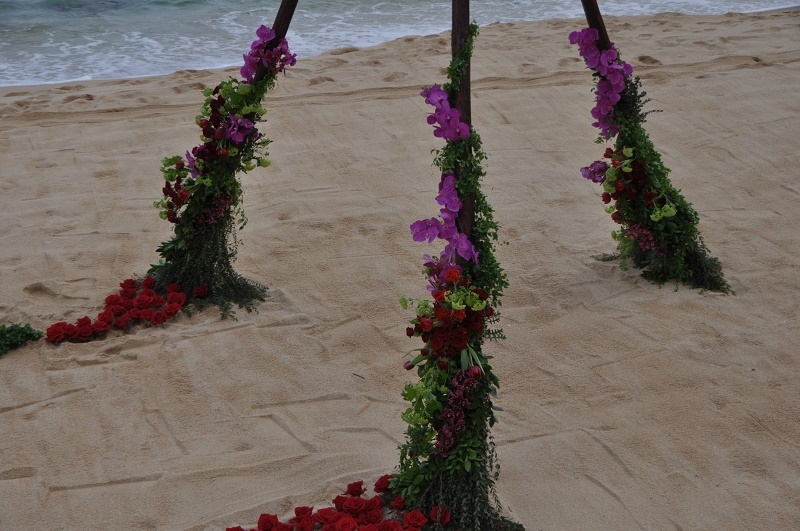 However, up until now, we have never participated in a surprise wedding proposal quite like this one. 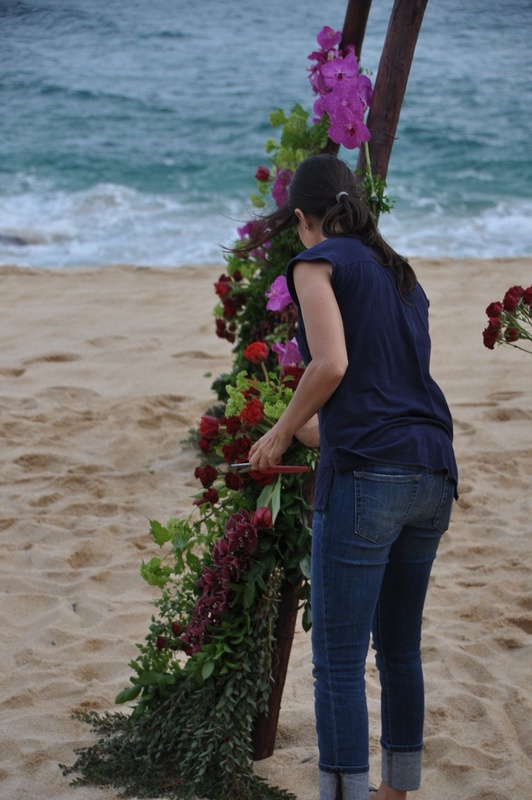 Certainly not one that takes place in a floral teepee. 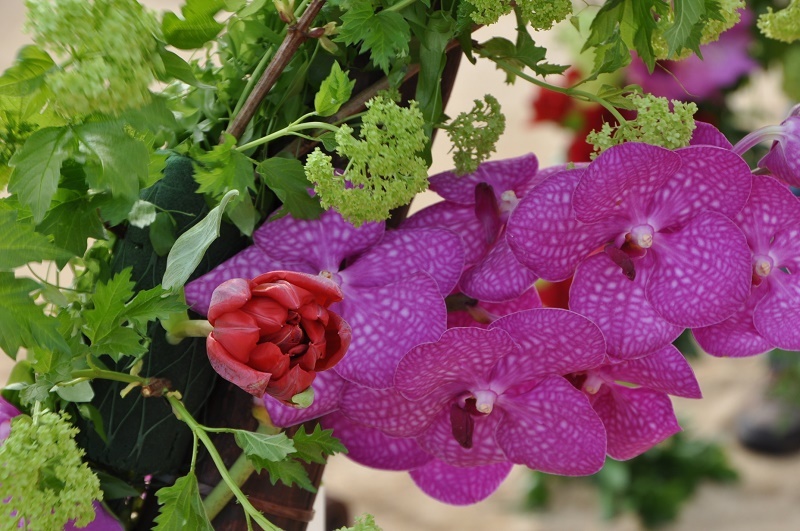 But that’s exactly what we were asked to design for these two lovebirds from afar. 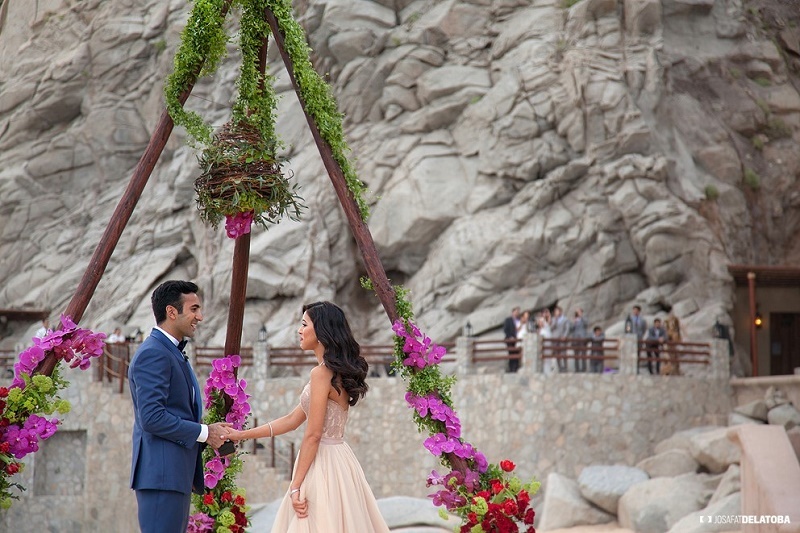 Working closely with the groom’s wedding planner, l’escape Destination Weddings, as well as the team at The Resort at Pedregal, we created a very unique setting for Anand and Divya’s special occasion. Our custom-designed teepee was a fun project to work on from the get-go. 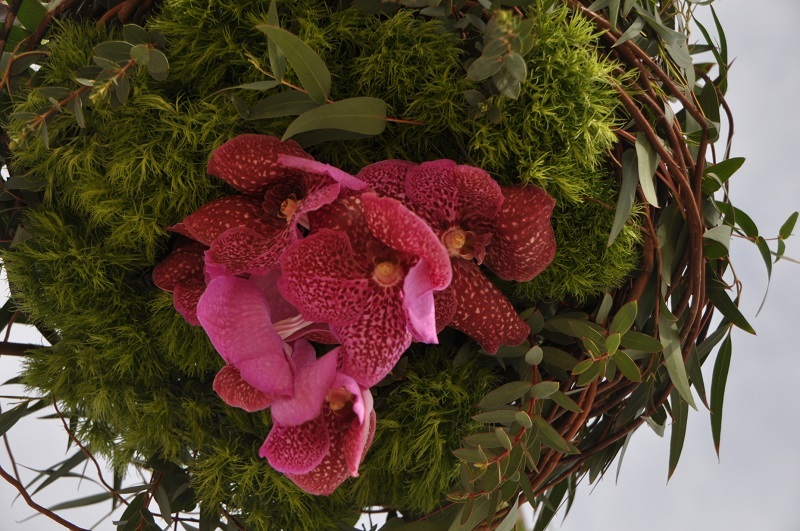 Elena used jewel toned flowers to create the dramatic backdrop the groom wanted for his romantic gesture: including purple Vanda Orchids, Garnet Roses, Red Double Tulips, and Green Viburnum blossoms. 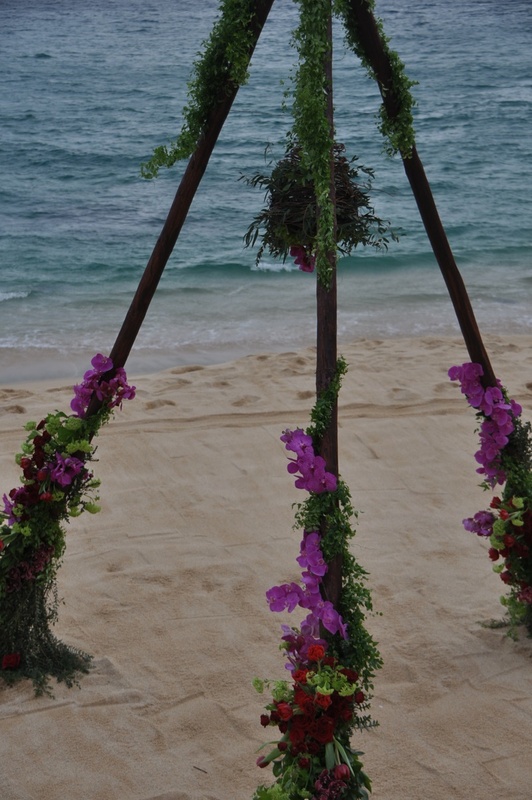 We suspended an organic floral chandelier from the center point of the teepee and scattered red rose petals at the base for a short aisle. When all was ready, all you could see was Anand standing next to the teepee, waiting for his beloved Divya to join him. Watching from the terraces at the hotel we could feel the excitement in the air! Now to be honest, Divya had a suspicion a proposal was coming sometime soon but she did not know when or how it would take place. 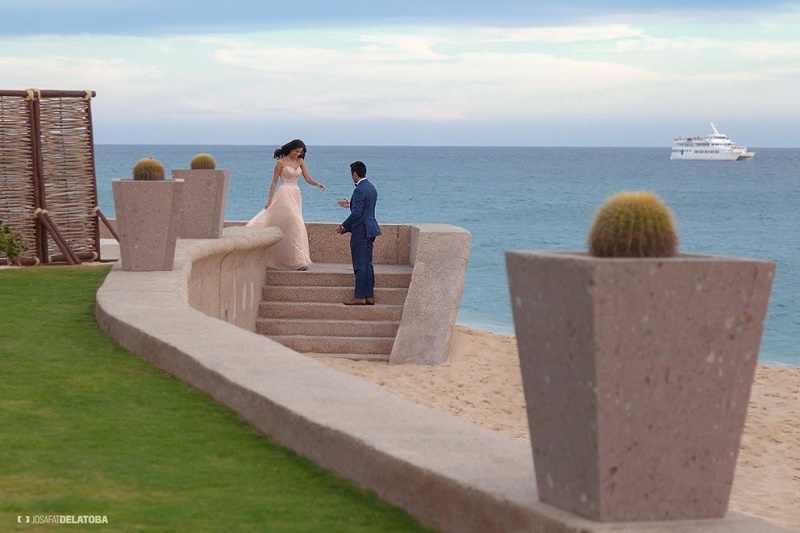 They came to Los Cabos for a family vacation and made arrangements for a dressy dinner out on the town. Or so she thought. What Divya didn’t know was that Anand had been planning an incredible wedding proposal that their families could witness! And they got an eye full! 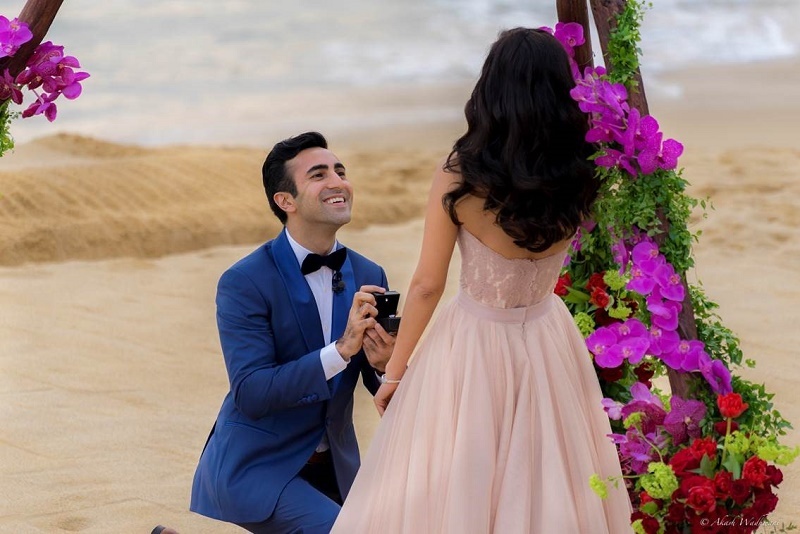 As their families watched from the champagne bar at El Farallon, Anand greeted a shocked Divya and proceeded to profess his love for her on one knee. All we saw were smiles, tears and kisses! And then came the fireworks and champagne! Yes, FIREWORKS! BUILDING THE TEEPEE. 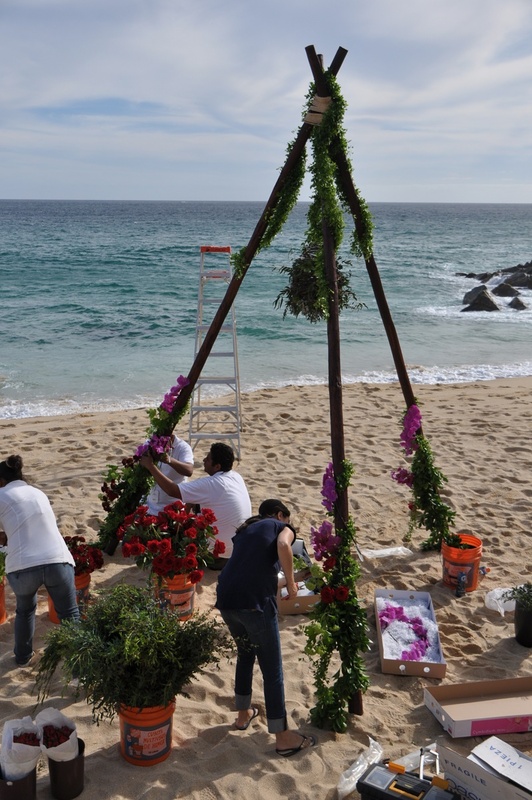 Please take a look below at how we built the teepee but keep scrolling down to see the gorgeous photos of the actual wedding proposal that were captured by drone. Congratulations Anand and Divya! 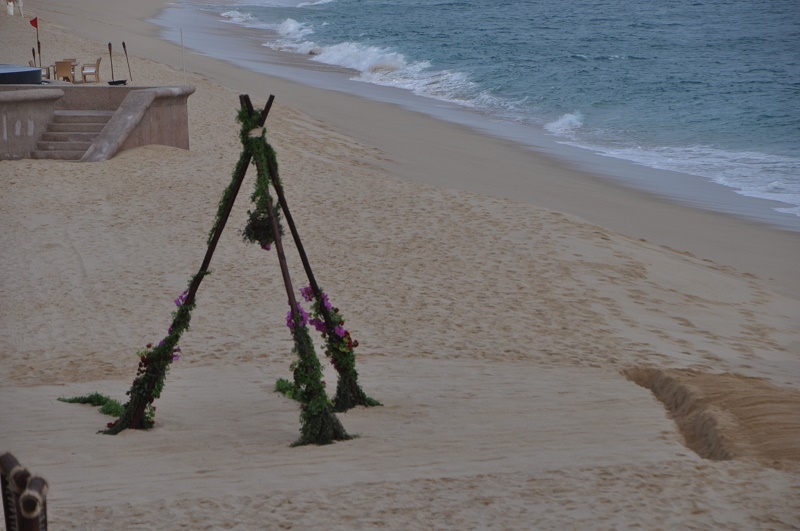 Teepee Wedding Proposal at The Resort at Pedregal in Los Cabos, Mexico. This is absolutely gorgeous!!! Love it!! !